It’s easy enough to make a cheap motorbike glove. There are plenty of them already on the market. 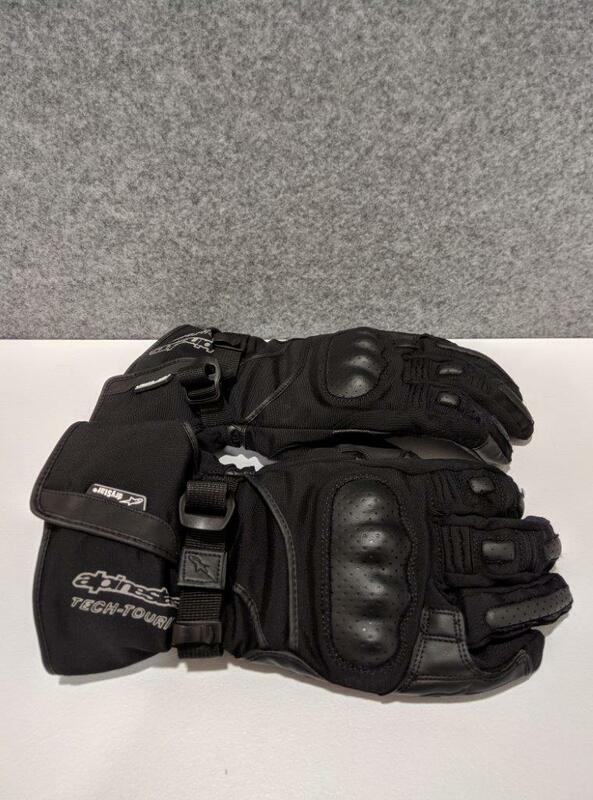 Take some cheap leather, or polyester fabric, add some plastic armor at the knuckles, some Velcro at the cuff, and you’re almost there to having a ready-made motorbike glove. 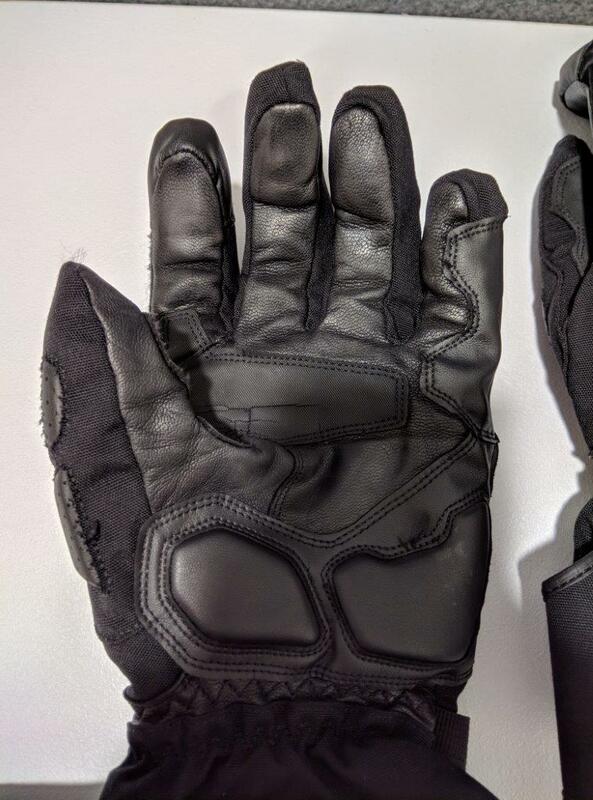 It’s a lot tougher to make a quality motorbike glove that actually goes some way to keeping a rider comfortable, warm, dry, and protected in the event of a crash. On a good quality glove the fabric mix is different, the fasteners are well thought out, the interior doesn’t pull apart if your hands are a little damp when you take the glove off, and it has vital protection in all the right areas. The best gloves will have a CE rating which guarantees certain standards around the strength of the fabric, the stitches, and the overall burst strength of the glove. This is all very technical but, at the end of it all, the phrase “fits like a glove” means a lot. A glove might be the most technically accomplished in the world but if you’re not comfortable in it then it’s potentially unsafe for you. A glove needs to fit, well, like a glove. This brings us on to my dilemma a few months ago when buying the Alpinestars Apex Drystar gloves that I now use on a daily basis. My old Richa Sport WP gloves had served me well, protecting my hands in a track-day off, proving to be extremely comfortable, but were in no way waterproof. When their leather outers soaked through in the winter my hands would be frozen, not to mention the stink that wet leather creates! Despite all of this, they were supremely comfortable so I went to look for a new pair. With none available in my size, I reckoned the Apex Drystar would be a nice upgrade, doing everything the Richa gloves did but with added benefits in terms of waterproofing and temperature control. I find it’s always difficult to know how comfortable a glove will really be when you’re simply trying it on in the shop. The reality is you won’t know for sure until you’ve spent a few days wearing them. My initial impression was that the Alpinestars were slightly too long for me, my fingers not stretching the seams as they had done on other gloves. 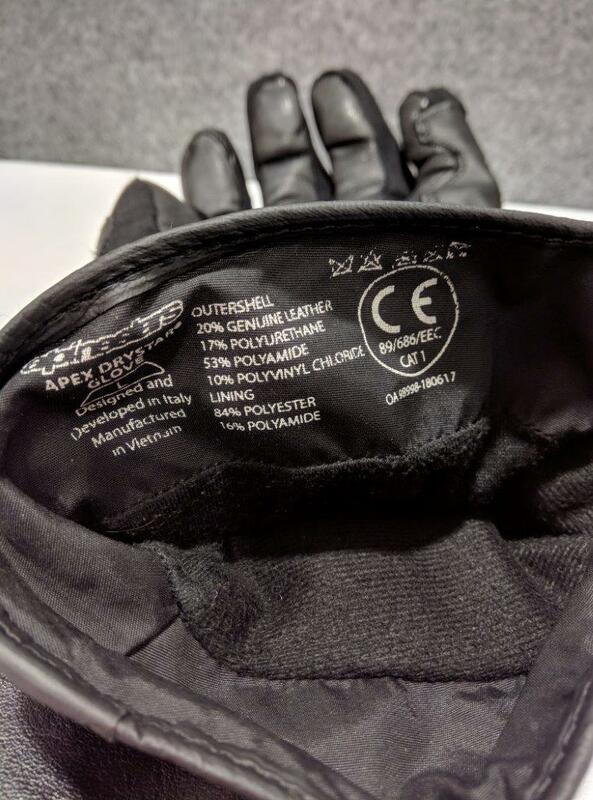 It turns out that this is actually very good because, according to Alpinestars own sizing guide, you need a small bit of space to allow warm air to move about within the fingers of the glove. Not to mention that if it’s too tight you constrict blood flow, which limits feeling. A good way of testing whether a glove will offer decent feeling is to try and pick up a coin or something similar when trying on the gloves before purchase. I can confidently hand a euro coin to a toll operator a couple of days a week with these so the sizing and fit are spot-on. 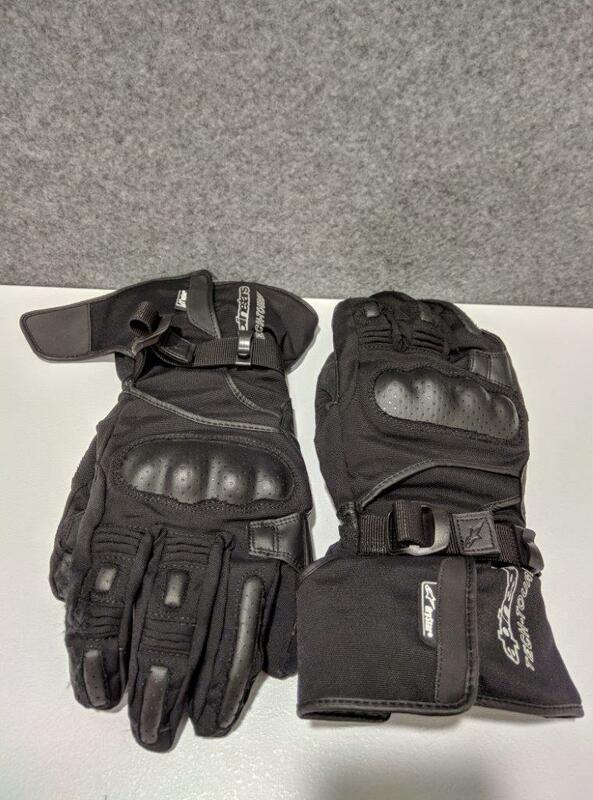 I went on a 4-hour ride to break the gloves in the day after purchasing them, and although it was still winter, the gloves kept my hands reasonably warm (caveat – I was wearing them on a fully faired bike). This was despite the fact that these gloves don’t contain the bulk we usually associate with winter mitts. The polyamide fabric used for most of the outer takes a little bit of getting used to after wearing full leather gloves as it tends to feel a little less pliable at the beginning of its usage. This isn’t a concern after a few hours with them on, and, almost a year later mine now feel like they were made for me. The Apex Drystar glove has a good mix of conventional features mixed in with more innovative ones. On the conventional side, it has a decent Drystar waterproof lining as one of the main selling points, pre-curved fingers for additional comfort from the first use, and an interior which doesn’t pull apart when you remove damp or sweaty hands from the glove. It’s a prime annoyance of mine that some manufacturers don’t adequately attach the lining to the glove interior, leaving a rider to struggle in frustration when attempting to put their hand back into the glove. Needless to say, but this struggle always happens when it’s either raining or the rider is in a hurry! The armor contained within the glove is also on the conventional side but none the worse for it, although I’ve not tested its effectiveness, thankfully. There’s a molded plastic knuckle guard hidden underneath perforated synthetic leather sewn into the polyamide body of the glove. There are softer foam inserts placed on the palm and around the scaphoid area, with goatskin leather used on the palm. 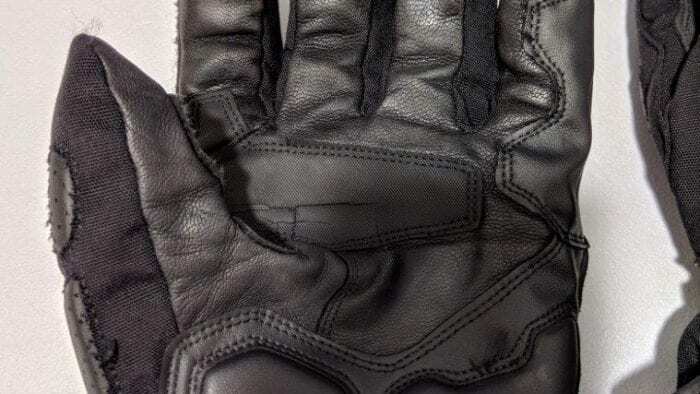 While polyamide offers decent abrasion protection, leather is still the king, so it seems a wise choice to use this on the palm area as this is likely to be the first part of the glove to touch ground in an off. 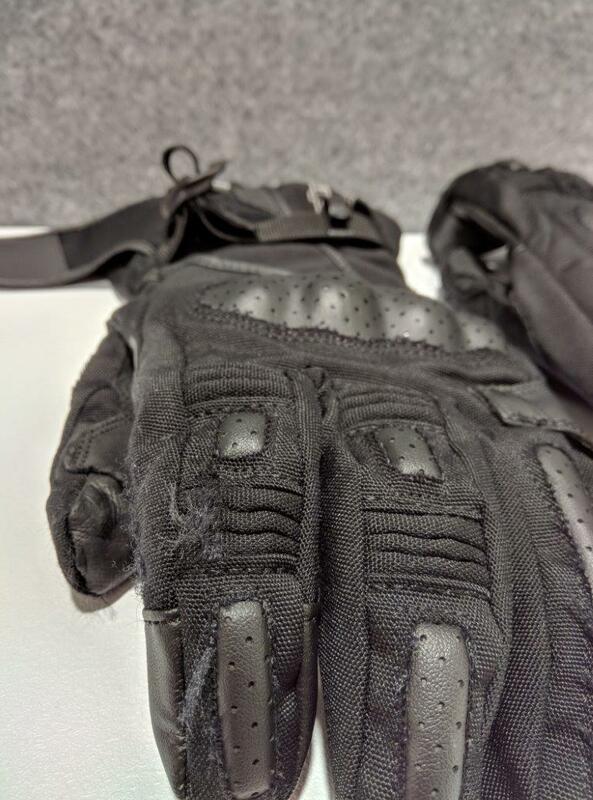 The gloves also contain a section of synthetic leather between the thumb and the palm, layered over the glove body, but it is now cracking on my pair. It’s not causing any issues but with the constant flexing of this area, you can expect that this is not a one-off case. All of this armor is worth little if the glove happened to slide off of your hand in a crash. This is where the innovative strap closure feature makes a difference. The large cuff, on which is printed the fabric mix and CE standards the glove has met, uses velcro to close it. Again, it’s a conventional design choice but one that works. However, the wrist strap, on which you depend to keep the glove on your hand, does not use velcro. Instead, it uses a friction strap like a rucksack. When doing up your glove just grab the Alpinestars tag at the end of the small wrist strap and pull it until it secures around your wrist. It’s an ingenious system, and far less fiddly than smaller velcro wrist straps. Both straps, the velcro, and the friction strap are easy to use with the other glove already fastened so Alpinestars deserve top marks for this area of the glove. 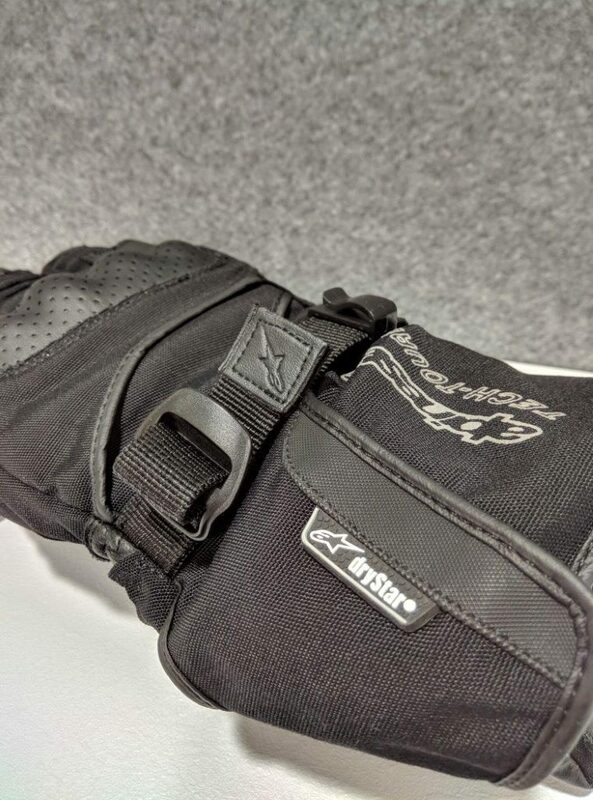 Another small detail that Alpinestars highlight in their literature on this glove is the third and fourth finger bridge. 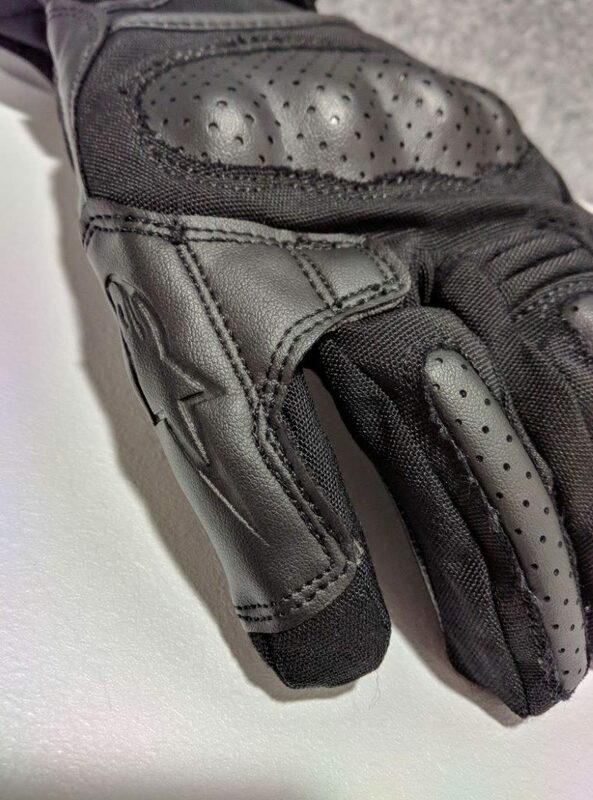 Alpinestars say this comes directly from their racing gloves and is a patented feature which “prevents finger roll and separation during impact”. 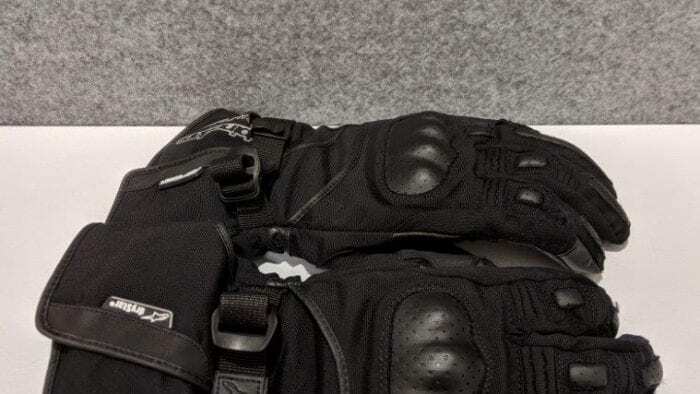 It’s a feature which is hardly noticeable as it doesn’t get in the way of comfort but a cursory look at the finger bridge doesn’t fill me with additional confidence in the protection it can offer over and above standard armor. That being said, maybe it’s better to have it than to be wishing for it. Perhaps the most interesting feature of the glove is that the index finger of the gloves is touchscreen compatible. Don’t expect to do a pile of typing but it does work well enough that you can easily use a map app! Alpinestars were certainly thinking of touring riders and the use of sat-navs when building this feature into the glove. None of those features would be of any use if the glove was consistently cold or consistently wet. Thinsulate is the fabric of choice for winter mitts and 100 grams of it is used in the back of each glove underneath the Drystar waterproof liner. 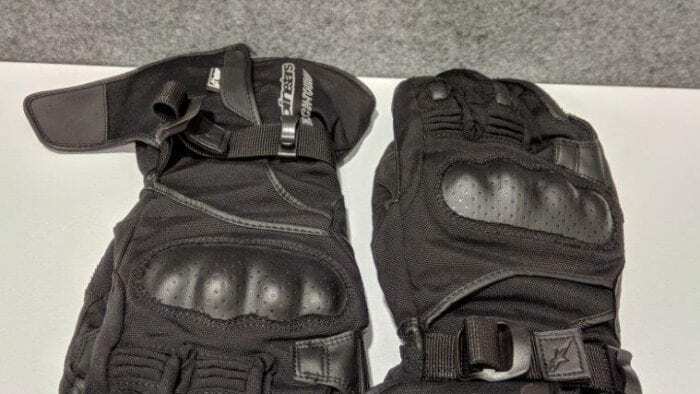 These are not the heaviest winter gloves and are best described as two season gloves (perfect for Fall and Spring, perhaps a touch too warm in summer, a touch too cold in depths of winter) although Alpinestars market them as winter gloves. If you have hand guards and heated grips then these will do just fine through the depths of winter but the chill of a naked bike might push their (or your) limits somewhat. 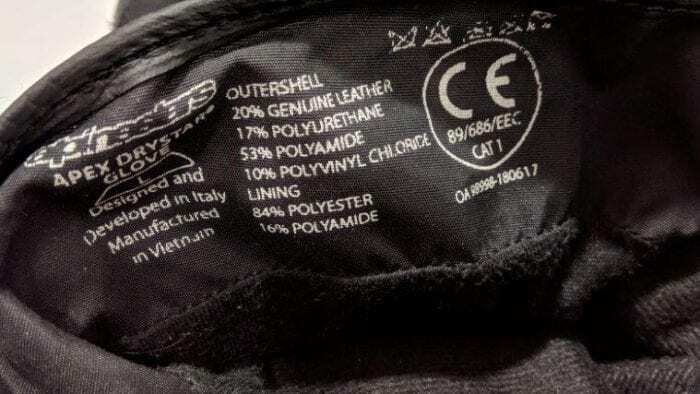 When it comes to waterproofing Drystar is Alpinestars own version of Gore-tex in that it’s a breathable fabric which, in theory, should let vapor out but prevent water getting in. We have had a few weeks of near constant rain here in Ireland in the run-up to Christmas so the gloves were well tested on the daily commute and passed, although perhaps not with flying colors. Polyamide, the main outer fabric of the glove (wake up down the back there! ), is partially hydrophilic so water will actually soak the outside and make the glove heavy. The Drystar lining ensures that this water doesn’t leak through to your hand but, with continuous riding, you will feel colder than you should due to the outer soakage. This may also explain why, when I remove my gloves at the end of my commute my hands are dry (and maybe a bit cold) but when I put the gloves back on later the interior feels a bit damp. I’m guessing that this is due to the temperature difference when the gloves are brought into a heated building but, ultimately, my hands are kept dry so the lining does work. However, be aware that the interior might be damp when you go to put them on a short time after taking them off. A friend of mine with a Drystar-lined jacket has said similar things but he doesn’t have the same problem with his Gore-tex gloves. Alpinestars are on to a winner here. This is a premium glove which takes the best features of a conventional glove and mixed them with some innovative touches like the touchscreen compatible finger and the friction strap at the wrist. It’s CE approved and feels like it’s been built to last. Although probably not a real winter glove, if you prefer to feel what’s going on with the handlebars rather than wrapping your hands in a veritable duvet, then this could be the glove for you.